Households in both urban and rural communities across the Global South struggle to secure access to reliable and safe electricity. The divide in urban-rural electricity access is especially stark in some countries with large rural populations and slow electrification rates. The emerging off-grid solar sector, however, may hold potential to rectify these inequities. It currently provides lighting to as 114 million people, with about one-quarter of those on systems large enough to meet basic access standards set by the United Nation’s Sustainable Energy for All (SE4All) initiative (International Energy Agency 2017). However, despite its promise, this sector faces a number of challenges to achieving social impact and business viability – some related to customer relationships and others related to the broader enabling environment for off-grid solutions. As a result, countries with significant off-grid populations are being ignored (Dalberg Advisors, Lighting Global, and International Finance Corporation 2018, 26). Financing and customer repayment challenges are the most frequently discussed. But social factors such as accountability and trust also help determine the success of distributed solar projects, and these require socially-driven responses (Saha, Annear, and Pathak 2013; Baruah 2010). Local groups that connect households with services, called intermediaries, constitute one promising example. This piece illustrates four ways in which local groups which connect households with services – called “intermediaries” – are rising to this challenge by facilitating the adoption and performance of off-grid solar products. Simpa Network’s “Women in Power” initiative and Barefoot College provide opportunities to expand access to standalone systems, such as lanterns or solar home systems, by engaging women in decision making and lowering the bar to access. Self-help groups in India and savings groups (‘chamas’) in Kenya demonstrate the use of local organizations for maintenance, repairs, and collective purchasing power. These cases span distributed solar technologies (from small solar lanterns to microgrids) which, in practice, likely need different forms of social and technical support. Collectively, they show that, when it comes to distributed solar, working with local organizations may help address challenges with the dominant model of using individual agents to encourage off-grid solar adoption, maintenance, and repairs. Both Simpa Networks and Barefoot College (along with other organizations, such as Solar Sister and Energy4Impact) recognize the importance of gender equality and local decision-making for deploying successful solar products. Simpa Networks operates in the Indian states of Uttar Pradesh, Orissa (Odisha), and Bihar. The organizations’ “Women in Power” effort aims to increase the proportion of female customers and engages women as “village-level entrepreneurs” to enhance local presence and influence in the community. This is important. In a sample of solar home system customers, the Global Off-Grid Lighting Association found that only 25% of solar home system customers are women, even though women often benefit more from enhanced lighting, given common household duties. Furthermore, women may influence peer purchasing decisions more than men (Global Off-Grid Lighting Association and Altai Consulting 2018). Barefoot College, which started in India but now works globally, provides solar installation and repairs training for local women. In Bhutan, Barefoot College has extended its training and capacity-building efforts by working with NGOs who can provide training in local communities. NGOs and private-sector partners are not only helping communities gain access to solar products and services, such as lanterns and home systems. They are also leveraging community organizations to provide new opportunities for larger systems, such as microgrids. In India, self-help groups have increased decision-making confidence, compelling women to take on leadership in village microgrid development. In Kenya, local villagers are organizing local utilities and microgrids rather than waiting for connections to the larger grid. Drawing on ‘chama’ culture, communities are partnering with other sources of funding to experiment with local electricity services. 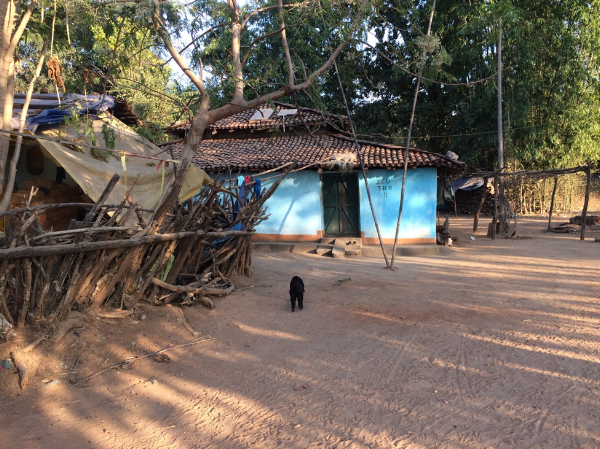 While much of this experimentation is occurring in rural areas, peri-urban settings constitute unique opportunities to provide solar to areas with poor quality electricity, illegal connections, or no access at all. As illustrated in the photo below, solar is not just a rural technology. In peri-urban areas, it can be useful to facilitate electricity access prior to grid expansion, as well as to offset poor quality electricity. The Energy Sector Management Assistance Program notes that while urban areas are often covered by utilities and rural agencies have specialized agencies, peri-urban areas are often in an in-between zone, and are thus often underserved. Partnerships across sectors can benefit peri-urban areas. Tata Power DDL’s development of the “Abhas” program in slum settlements in New Delhi, India, recruits and trains women from the local community with the hopes of reducing electricity thefts and bill nonpayment – significant contributors to nontechnical losses for utilities. The program has great potential. This year, there are expected to be 1,000 Abhas in New Delhi. The groups will play an important role in delivery and payment collection; energy efficiency and conservation; and increasing mobile payments. Such growth further indicates how leveraging social connections enhance electricity provision – not just for traditional utilities, but for emerging off-grid companies, as well. These experiments with management and electricity service provision are examples of the important roles non-state actors can play in meeting national and global goals for consumer services and environmental protection. They also illustrate the importance of building programs that include women – often the primary users of household electricity – and recognizing the influence of existing collective organizations, such as self-help groups or chamas. More broadly, the cases demonstrate how new organizations and partnerships with existing local groups can help connect communities to key resources, particularly in the solar sector. Linking electricity provision to social capital enables providers to better understand community needs, build trust, and ensure households are receiving equitable and quality energy services. Partnerships — not just public-private, but private-non-profit and public-non-profit — provide opportunities for service providers to learn, build local networks, and be more effective. ﻿Elise Harrington is a doctoral candidate in the Department of Urban Studies and Planning at the Massachusetts Institute of Technology, with a concentration in Environmental Policy and Planning. She is interested in energy policy, electricity access and service provision, and environmental regulation. Prior to MIT, Elise worked as a research assistant for the Kleinman Center for Energy Policy at the University of Pennsylvania, where she examined regulatory design and enforcement, and worked at the Energy Efficient Buildings Hub. She holds a BA in Architecture and Environmental Studies from the University of Pennsylvania. Baruah, Bipasha. 2010. “Energy Services for the Urban Poor: NGO Participation in Slum Electrification in India.” Environment and Planning C: Government and Policy 28 (6): 1011–27. Dalberg Advisors, Lighting Global, and International Finance Corporation. 2018. “Off-Grid Solar Market Trends Report 2018.” https://www.lightingafrica.org/wp-content/uploads/2018/02/2018_Off_Grid_Solar_Market_Trends_Report_Full.pdf. Global Off-Grid Lighting Association, and Altai Consulting. 2018. 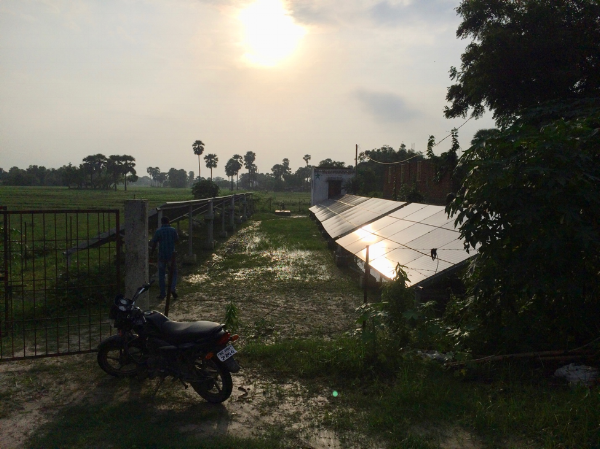 “Powering Opportunity: The Economic Impact of Off-Grid Solar.” Utrect, The Netherlands: UK Aid. https://www.gogla.org/powering-opportunity-the-economic-impact-of-off-grid-solar. Goodin, Robert E., Martin Rein, and Michael Moran. 2008. “Introduction: The Public and Its Policies.” In Oxford Handbook of Public Policy, edited by Robert E. Goodin, Martin Rein, and Michael Moran. New York: Oxford University Press. International Energy Agency. 2017. “Energy Access Outlook 2017.” Special Report. OECD/IEA. http://www.iea.org/access2017/. Krishna, Anirudh. 2011. “Gaining Access to Public Services and the Democratic State in India: Institutions in the Middle.” Studies in Comparative International Development 46 (1): 98–117. Saha, Somen, Peter Leslie Annear, and Swati Pathak. 2013. “The Effect of Self-Help Groups on Access to Maternal Health Services: Evidence from Rural India.” International Journal for Equity in Health 12 (May): 36.